With a poet's precision and an intellectually adventurous spirit, Elizabeth Alexander explores a wide spectrum of contemporary African American artistic life through literature, paintings, popular media, and films, and discusses its place in current culture. In The Black Interior, she examines the vital roles of such heavyweight literary figures as Gwendolyn Brooks, Langston Hughes, and Rita Dove, as well as lesser known, yet vibrant, new creative voices. She offers a reconsideration of "afro-outré" painter Jean-Michel Basquiat, the concept of "race-pride" in Jet magazine, and her take on Denzel Washington's career as a complex black male icon in a post-affirmative action era. Also available is Alexander's much heralded essay on Rodney King, Emmett Till, and the collective memory of racial violence. Alexander, who has been a professor at the University of Chicago and Smith College, and recently at Yale University, has taught and lectured on African American art and culture across the country and abroad for nearly two decades. 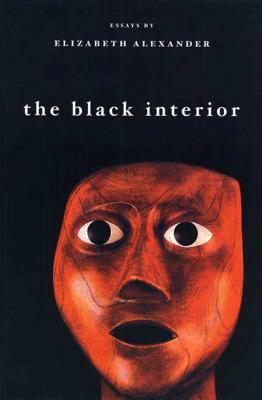 In The Black Interior, she directs her scrupulous poet's eye to the urgent cultural issues of the day. This lively collection is a crucial volume for understanding current thinking on race, art, and culture in America. Elizabeth Alexander is the author of three collections of poetry, most recently Antebellum Dream Book. She lives in New Haven, Connecticut.